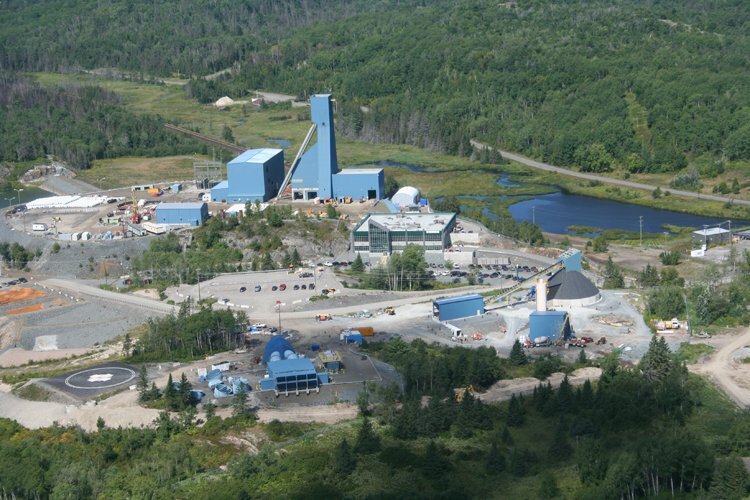 Totten Mine is located in Worthington, Ontario, 15 km west of Sudbury. Concurrent with the initial engineering work, a partnership was developed with the Sagamok Anishnawbek. This partnership includes both training and knowledge sharing with the community and has resulted in opportunities and careers in mining for the Sagamok people. Cementation commenced work on site in May of 2007 with the initial temporary dewatering set up. The scope included full dewatering and shaft rehabilitation for the existing No.2 Shaft down to an elevation of 1260 m. The existing headframe and surface plant was demolished in 2007 and Cementation carried out the permanent engineering and construction management for the new headframe and hoist house. The scope included the initial access development and the waste handling system replacement and rehabilitation. In addition to this work, all mobile equipment for the two year lateral development phase was lowered into the mine and Cementation was responsible for these shaft activities including the early waste removal. Concurrent with the shaft dewatering and rehabilitation project, Cementation carried out raise boring of the ventilation circuit for the Totten mine; the first series of ventilation raises started in 2008. The initial four raise project included one raise at a diameter of 5.52 m, one raise at a diameter of 5.0 m, one raise at a diameter of 3.1 m, and the longest raise of 840 m at a diameter of 2.4 m.